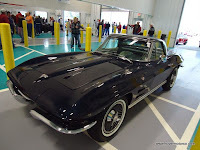 And even though I could have just grabbed them from basically one or two big Corvette shows, you'll see that I chose pictures from lots of different shows. That's to illustrate the widespread appeal of the Corvette. Believe me, there's no other car for which I could dig up more than 50 consecutive model years of pictures, even in my ever-growing library of car show pictures. 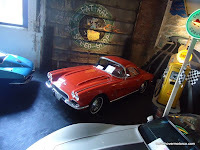 Also, even though this blog entry is mostly about the pictures, I know there are at least a couple of people who read the stories, so I feel obligated to throw in a little Corvette history here too. GM design legend Harley Earl initiated a team of designers in 1951 to come up with the initial Corvette design. Inspired by British sports cars of the day, the Corvette was to be a truly American interpretation on the true, two-seat sports car. The Corvette was originally named after the powerful Corvette Navy warships. It debuted as a “dream car” at new car Autoramas around the country. Except for a few minor details, it looked nearly identical to the car that went into production for the ’53 model year. One little quirk on the original concept cars was that it had crossed American flags in the logo, as opposed to the crossed checkered and Chevrolet racing flags we know now. After displaying the car a few times with the American flags, it was determined that using the American flag in a logo was illegal. From the looks and construction department, the Corvette was truly revolutionary in 1953. The art of building fiberglass car bodies wasn’t exactly perfected yet, and the 300-or-so Corvettes produced that first year were hand-built on the assembly line. 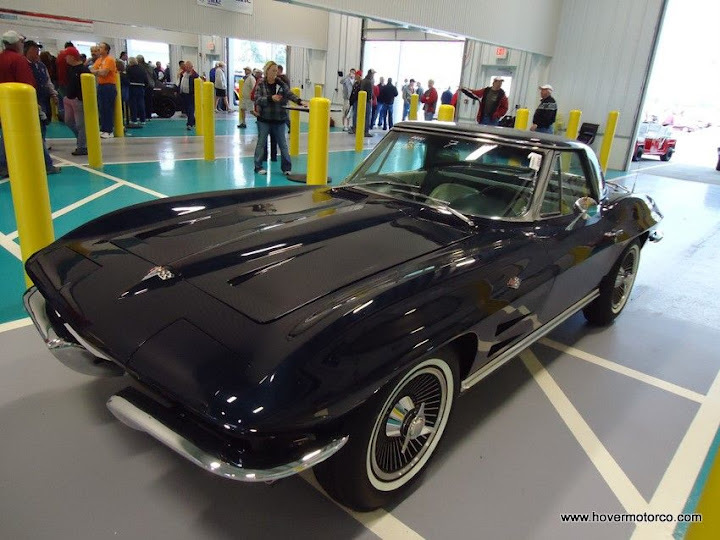 The idea of a fiberglass body was so unusual, that the first several Corvettes didn’t even start because of grounding problems. 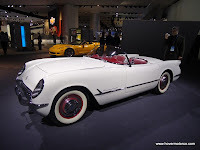 Of course, all of the first Corvettes were Polo White with red interiors. 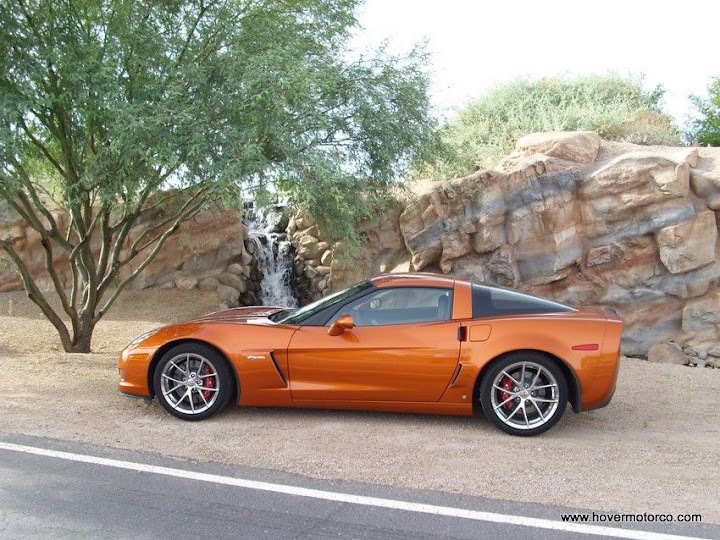 That color scheme carried on for several milestone Corvettes over the years, including the 1,500,000th Corvette that rolled off the assembly line in 2009. The ’53 Corvette wasn’t as amazing under the skin as the exotic bodywork may lead you to believe. 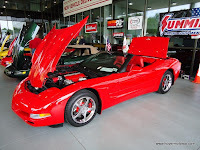 Chevrolets of the time relied on an inline six-cylinder engine and effective but primitive suspension components, and the Corvette basically utilized the same technology, albeit in a smaller package. 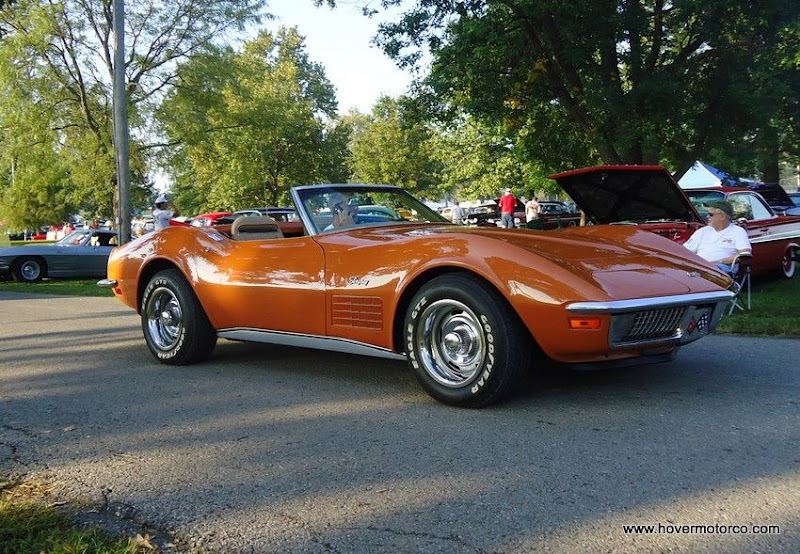 Yeah, that engine was dubbed the “Blue Flame Six”, and featured dual, side-draft carburetors, but the Corvette wasn’t really considered a performance tour-de-force until the small-block V8 came along a couple of years later. Nevertheless, Corvettes were a beautiful, luxury touring car. Maybe not the pure sports roadster that was initially conceived, but it survived on its exotic looks and exclusivity to eventually morph into one of the best sports car values, and ultimately, one of the best sports cars in the world. 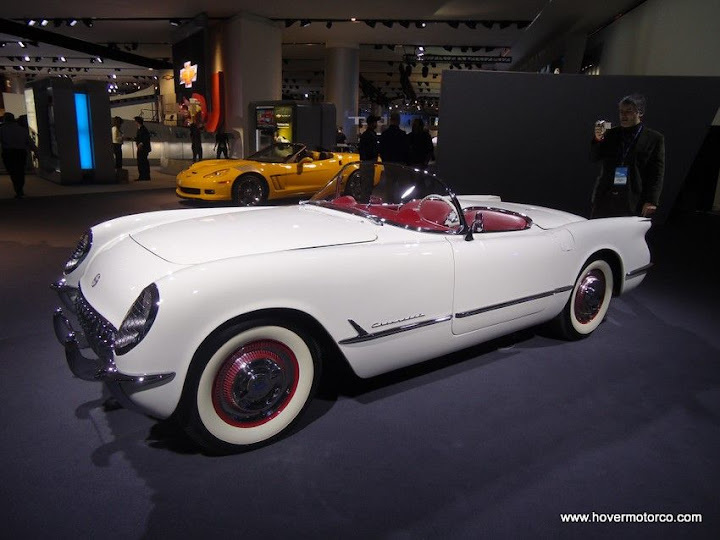 When the Corvette was introduced in 1953, it was a dream car. People weren’t supposed to be able to actually buy something like this. It was just a glimpse into the future. Yet, there it was, driving around out on the street all beautiful and exotic lookin’. Right out there with the regular cars. Then the fantastic small-block Chevy V8 showed up in ’55, and roll-up windows came along in ’56, and the Sting Ray rocked the country both stylistically and technologically in ’63. Year after year, the Corvette was the object of every real car guy’s fantasies. The older you are, the more of those memories you have. But even young people can’t deny the pull of America’s sports car. That’s right, America’s sports car. Lots of sporty little numbers come and go. Some of them are pretty cool in their own right. But none of them have the staying power in this country as the Corvette. It is designed by Americans, built by Americans, and caters to what Americans crave—world-class power and finesse at a price that is conceivably attainable to the average person. It was that way more than a half-century ago, and it still holds true today. 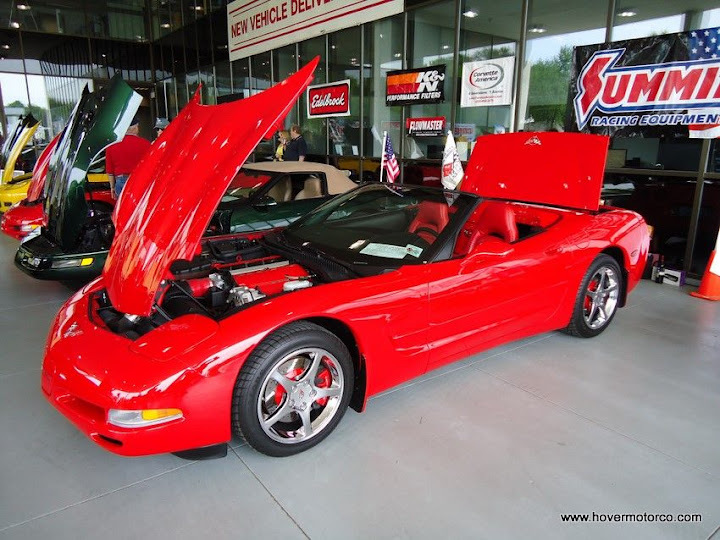 Now as I mentioned earlier, the slideshow below has a Corvette photo from every production year from 1953 to 2011. I think I got these right, but the year wasn't exactly painted on the doors of these cars. Some Corvettes look pretty close from year-to-year when you're digging through thousands of old pictures. So if you see one that you know was the wrong shade of red for the year I said it was, feel free to let me know. But be nice about it--my slideshows are free you know! Captions are available if you hit the little balloon in the bottom left corner. Thanks for this! Amazing I found you just as I was about to give up. 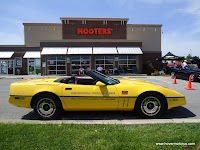 See in the last two days I have had the great luck to run into 2 different guys, both with vintage vettes. One running...the 67, and one not, the 64. It was the 64 I couldnt identify. So thanks again!